Performers include: Paul F. Tompkins, Doug Benson, Mike Britt, Judah Friedlander, Rob Huebel, Nick Kroll, Chuck Nice, Melissa Rauch, Paul Scheer, Jessica St. Clair, and Adam Winer. Various comedians review weekly events in pop culture, including celebrity gossip and other happenings in entertainment. As the show evolves the name changes to Best Week Ever With Paul F. Tompkins. As the host, Tompkins is seated at a podium and summarizes events from the preceding week. He then offers comic “panelists” the opportunity to share their own review of news items. 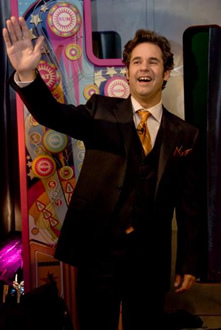 After various segments of pop culture, each episode ends with the selection of a celebrity winner of the Best Week Ever. Winners have included and ranged from game show host Bob Barker to the Nintendo Wii, to Barack Obama. VH1 has indicated that they intend to revive the show but with a new format and host. Best Week Ever: VH1 Series Goes on Long Hiatus; Is It Actually Cancelled?